February 20th - USDA Office closed in observance of President's Day. Producers in Colorado who are interested in implementing conservation practices to improve natural resources on their private agricultural land have until Friday, February 17, 2017, to submit applications for FY 2017 funding through the Natural Resources Conservation Service's (NRCS) Environmental Quality Incentives Program (EQIP). EQIP is a voluntary incentives program that provides financial assistance for conservation system such as fencing and water supply development for improved grazing management. The U.S. Drought Monitor's reporting feature offers producers an opportunity to submit drought impact and condition reports. The USDA, in partnership with the National Oceanic and Atmospheric Administration and the University of Nebraska in Lincoln, produced the U.S. Drought Monitor to include a reporting feature that allows producers to report local drought impacts and conditions. The Farm Service Agency (FSA) has launched a new service that combines resources offered by national, state and local agricultural organizations to help farmers and ranchers start, improve or expand their operation. Bridges to Opportunity is a partnership of USDA and non-USDA agricultural agencies, coming together to help provide the information farmers and ranchers need. The Bridges service is supported through a customized software application that houses information from partner organizations, making the information easily accessible to customers seeking agricultural resources while in FSA county offices. 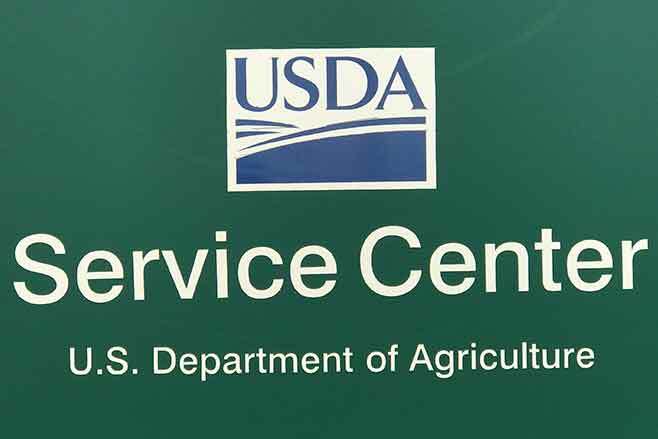 Partnering with FSA's Bridges to Opportunity provides a central location for USDA and local, state and national agricultural organizations to offer support to farmers and ranchers and help with disaster assistance, grants, technical help, financial advice and educational courses. Agricultural organizations that partner with FSA are providing access to programs, upcoming events, workshops and other resources with farmers and ranchers that come through the doors of FSA county offices. To learn more about Bridges to Opportunity and how it can help you, contact your local County Office representative. You may also visit the FSA website for more information.